Whether you have noticed your home’s foundation weakening or have received a bad inspection report, you are probably looking for the best way to fix your pier and beam problems. That makes sense. Having a strong foundation is critical to the safety and value of any home. As such, you might wonder regarding foundation repairs – how to repair pier and beam foundation problems. Considering the following three advantages, helical piles are an effective way to fix any foundation. Piles are a tremendously versatile way to sure up a home’s foundation. Whether you are adding onto your home, fixing a weak foundation, or strengthening a retaining wall, piles are probably a good option. Your contractor can install piles in place of convention wood, steel, and auger casts. Given this versatility, it isn’t hard to see why building codes are beginning to require their usage in certain areas. 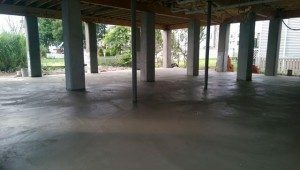 If you are like many homeowners with a foundation issues, you might wonder the following about your foundation repairs – how to repair pier and beam foundation problems. For homes built on unstable ground or floodplains, the answer is piles. Without much interruption, piles can add strength to foundations built on even the shiftiest ground. If you are trying to stick to a tight construction schedule or are looking for an urgent fix for your foundation problems, you should consider piles. Your contractor can probably install these reinforcements in just one day. Even better, you can install piles in tight spaces. Either way, for a quick foundation repair option, it is hard to beat piles. Whether you are building a new home or fixing the foundation on an existing one, you understand the importance of a strong base. You might, though, have the following concern regarding your foundation repairs – how to repair pier and beam foundation problems. For at least three reasons, the answer is helical piles. ©2019 Payne Construction Services Inc.